Everyone and everything’s a tad prickly this winter. With a serious spike in humidity mixed with temperatures the opposite of flaring, the lancing frigidity has become ever so piercing. It’s definitely not for the spineless or the quill-willed. Everyone is acting briery, thorny, and prickly these days. Daily chores require a many-pronged approach. I have been watching lately on weather.com that the temperatures are rather compressed in Idaho meaning there is not a huge span between day and night. Plus the northern part has had air stagnation warnings for over a week. So, it makes sense that the day moisture begins to freeze as the sun goes down while the dew point doesn’t vary greatly either. Perfect ingredients for the whispy hand of Jack Frost! And the southern part should have one, too, Winnie! We haven’t seen the sun in 13 days and 4 hours and 32 minutes, but who’s counting? I am new to your site, but have already fallen in love with the magazine! Brrr…here in Western Pa., we have wind chills(today is a -2, without the wind chill… going to be a high of 0!) and artic blasts and snow…I have not seen anything like these photos and they are so neat..hmm..cool…I run outside to do the necessary chores…and, back in like a cat I sit in the sunshine on the sofa…meow…think spring!!! I’d like to say that I woke to -15 degrees this morning. Sat & drank tea and cuddled under my old afghan. It is hard to get motivated to go outdoors. But alas our wood stove/boiler is in our garage, so we mosey out to keep the rest of us warm! 🙁 Hope all your animals are doing well everyone! High of 10 here today, in Lancaster county PA, windchill was -15. Steering fluid in car froze, broke the steering column, now that’s cold! Thanks Terry for thinking of the animals ! hi Maryjane, well some sort of glitch! the dates are from 2014 !! That mid winter prickly thorny sentiment seems to be at it’s all time high! Not just here in Florida…..but all across the nation. Oh yes. 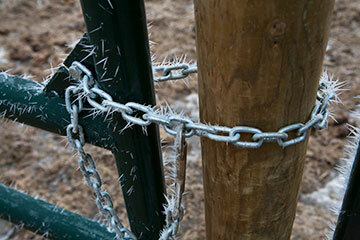 This winter is definitely causing people to be prickly. 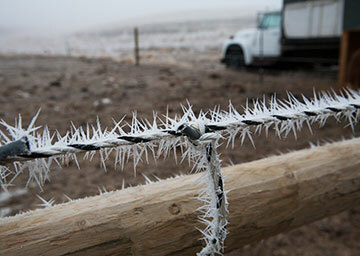 Our weather is all over the place and I bet all those being hit by this crazy winter are feeling extra prickly. I love the photos. They definitely look dangerous, but fascinating.